For my birthday hubby took us out for a day and treated us to his office colleagues favorite fish joint in town. We had variety of fish / seafood dishes but the one that we really enjoyed was the butter garlic crabs. From that time this was on my to do list. Here is a copy cat recipe of the Butter Garlic Crabs. I, should say better than what we had, because at home you make better quality, eat with your hands and enjoy it much better. Today is third Friday of the month. On this day we post our fish recipes for Fish Friday Foodies . Our host of the month is Paula Begley and the theme is " We're So Crabby ". Wash and scrub the carbs well, separate the hard top body of the crab and clean them. In a large pot , add 2 cups of water and the crabs and bring it to a boil, keep stirring the crabs up side down in boiling water. Cook the crabs until they are red, approximately 7 to 10 minutes, and then let crabs cool to the touch. Drain out the stock in a bowl. Place the sizzler plate on high flame to heat it very very hot. In a deep skillet, melt the butter and add the garlic and saute it for a minute add the flour and saute till it releases an aroma. Add the stock and keep stirring it form a smooth and lump free paste. Now add the seasoning like salt and pepper. mix it well and then add the cream, when cream just comes to a boil take off flame. Keep 2 to 3 tablespoons of the sauce aside for the veggies and place the crabs in the butter mixture and toss it to coat them. In another skillet heat 2 tablespoons butter add the mushrooms first and saute them for a minute and rest of the veggies and toss them well into the butter, add the seasoning like salt and pepper. Mix well. Now the sizzler is hot, place cabbage leaves or banana leaves (I used banana leaves). Place the crabs and the veggies at the side. Pour remaining butter suace from skillet onto the crabs before serving. The reserved sauce on to the veggies and enjoy ..... delicious and yum!! I have never eaten a whole crab. I always just have claw or legs. Other than that I buy lump crab that is already removed from the shell and picked clean. I would have no idea how to eat this incredibly delicious sounding meal. Sneha, those look so tasty! This sounds delicious! To be able to get 6 live crabs without spending a week's salary is amazing. Jealous. 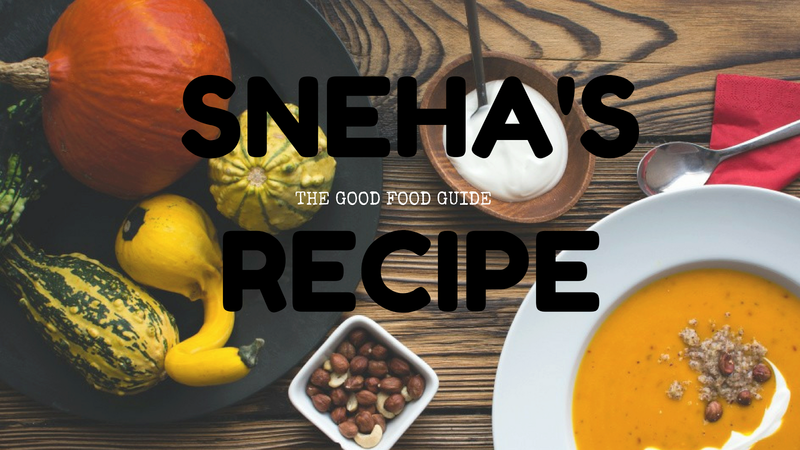 You had me at butter and garlic, Sneha. Nothing better to eat with crabs! Delicious!